The top image shows the final character designs created in photoshop. 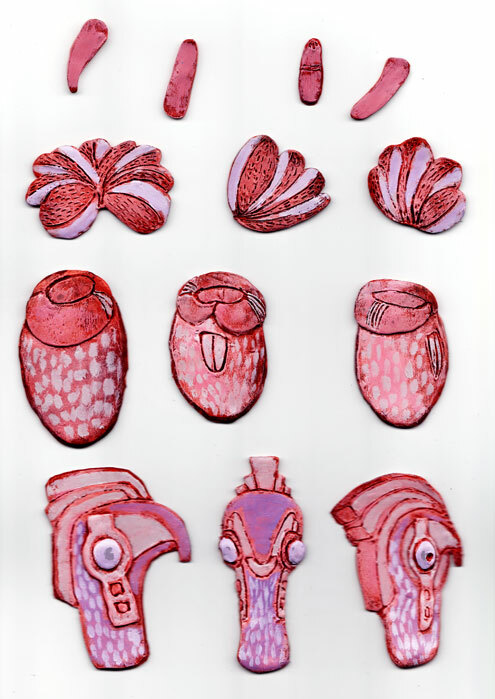 The middle image shows the individual painted sculpey forms (used in the final photoshop designs). 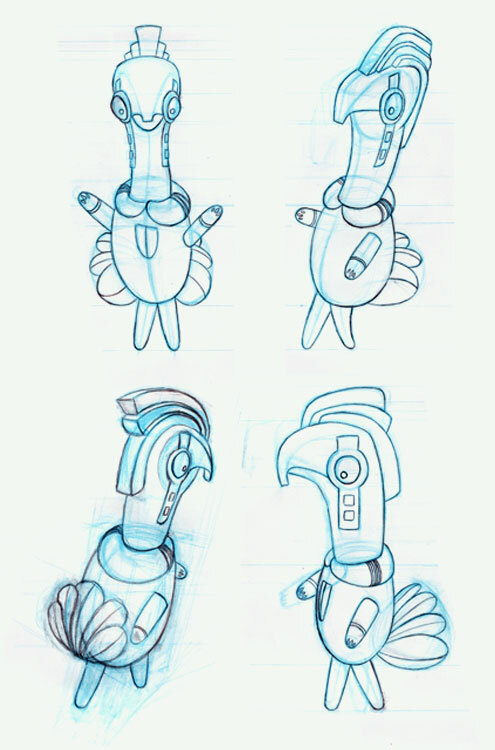 The lower image shows the original model sheet.